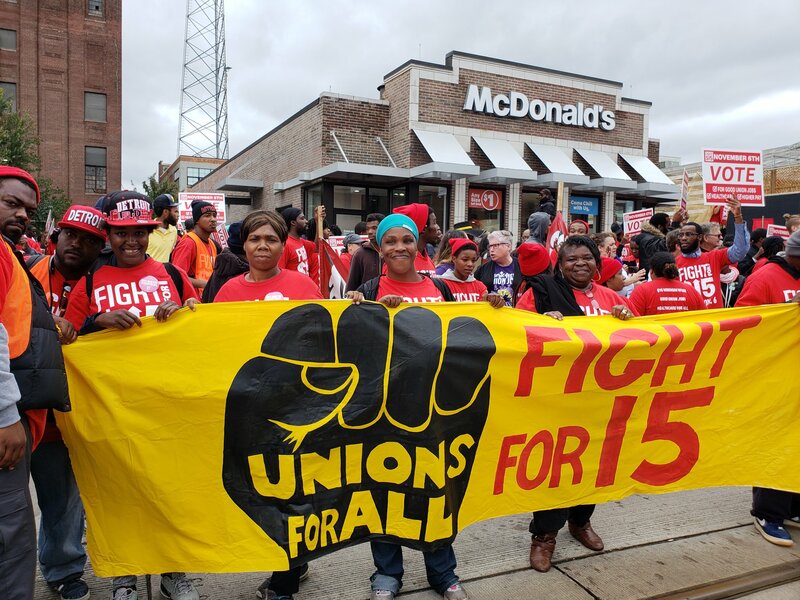 The fight for higher wages among restaurant workers is ramping up across America with protestors recently arrested on Oct. 4 for standing their ground against food giant McDonald’s. It’s reported that more than 50 protestors, under the theme #Fightfor15, were arrested at the McDonald’s headquarters in Chicago. Protestors are fighting that wages increase to $15 an hour and the right to unionize. Among the arrested were Illinois Rep. Jan Schakowsky and Service Employees International Union President Mary Kay Henry. Amazon’s Oct. 2 announcement that it was raising its minimum wage to $15 an hour could put the pressure on other companies to increase pay, especially as retailers ramp up hiring for the holiday season. A U.C. Berkeley Labor Center study in 2015 said that many restaurant workers could qualify for food stamps, Medicaid or other similar programs because they don’t make enough to cover basic living expenses. The study also said in addition to the food industry, other jobs that typically qualify for public assistance are child care workers and home health care workers. In addition to McDonald’s, workers from TGI Fridays, UberEats and Wal-Mart have taken part in various protests across the nation.